Travelers who frequent New York City airports will now be able to plan a slightly smoother trip. 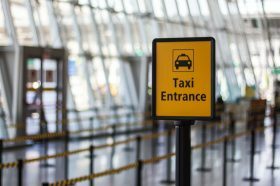 Real-time tracking of security and taxi wait times have rolled out at Port Authority-operated terminals at John F. Kennedy, Newark Liberty, LaGuardia, and New York Stuart International airports, the agency announced Monday. Using a real-time measurement tool “BlipTrack,” passengers can track the wait times online for TSA checkpoint screening areas and taxi stands at 14 terminals across the four airports. 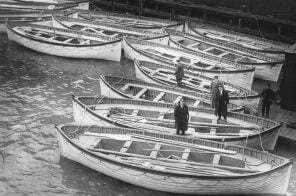 The first phase of Gov. Andrew Cuomo’s $8 billion overhaul of LaGuardia Aiport opened to the public this weekend, which includes a new concourse and 11 gates at Terminal B. 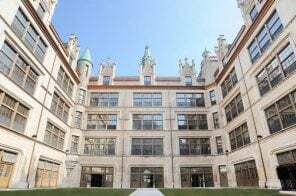 Construction company Skanska on Wednesday released additional information about the project, detailing everything from its planned 1.3 million square footage to its use of 40,000 tons of steel. In total, the redevelopment of LGA’s Terminal B will cost $5.1 billion and bring 35 new gates and two new concourses. The first new gates in LaGuardia Airport‘s Terminal B will open this Saturday, Gov. Andrew Cuomo announced earlier today. The opening will inaugurate the first of two concourses and 11 of the 35 total gates that will service Air Canada, American Airlines, Southwest Airlines, and United Airlines. 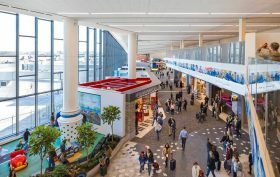 This is the first phase of Cuomo’s larger $8 billion overhaul to create “a whole new LaGuardia.” The new concourse will feature retail space, a “food hall,” complete with local mini-chains like Shake Shack, Irving Farm coffee, and La Chula taqueria, as well as an indoor park (a design feature Cuomo is also implementing at JFK). More than a dozen organizations have joined together to form A Better Way to LGA in support of Governor Andrew Cuomo’s proposed AirTrain to LaGuardia Airport (AirTrain LGA). Comprised of community members, economic development groups, transportation advocates, unionized labor, civic stakeholders, and local business leader, the coalition beleives that it is essential to create a viable transit alternative for LaGuardia Airport travelers and workers. 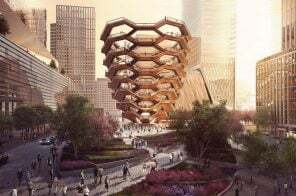 The coalition is co-chaired by the Queens Chamber of Commerce, the Association for a Better New York, and the New York Building Congress. 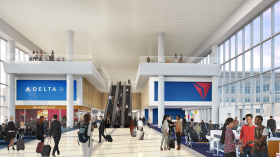 The group emphasized in a press release announcing their launch that LaGuardia is the only major East Coast airport without a direct rail connection, despite the fact that LaGuardia Airport is currently undergoing an $8 billion complete renovation. 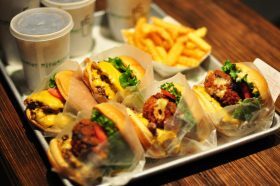 Shake Shack, Irving Farm coffee, La Chula taqueria–these sound like your typical food hall staples, but this time they’re not in a Brooklyn warehouse or a trendy new building, but in LaGuardia Airport. Governor Cuomo announced today the lineup of in-state food purveyors for Terminal B, which will open in phases starting later this year as part of his massive $8 billion overhaul of LaGuardia. When complete, the entire new airport will have a total of 50 new restaurants, shops, and services, many of which will be local small businesses. Gov. 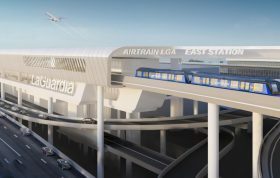 Andrew Cuomo on Monday signed legislation that jumpstarts the construction of the AirTrain to LaGuardia Airport by letting the state use eminent domain to secure land for the project. 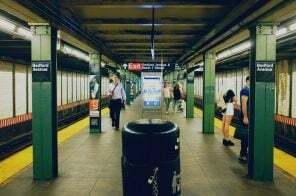 Passed by the state legislature last week, the bill permits the state to acquire parcels of land already owned by the City or MTA between Willets Point and the airport, allowing the train to run along Grand Central Parkway. LGA is the only major airport on the East Coast without a rail connection, with 86 percent of travelers using cars to access it. 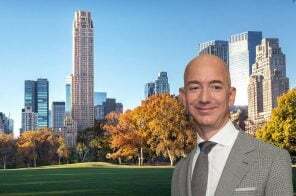 “How can you not have a rail train to the city from a New York airport? I mean, it’s just incomprehensible, right?” Cuomo said at the bill signing event. According to the governor’s office, the train could bring passengers via the 7-train or LIRR trains between Midtown and the airport within 30 minutes. 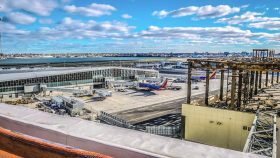 With the approval of its $8 billion 2018 budget on Thursday, the Port Authority of New York and New Jersey plans to spend more than $1 billion on major redevelopment projects at LaGuardia, Newark Liberty International and JFK Airports next year. The agency’s board of commissioners approved a budget that allocates $3.2 billion for operating expenses and $3.4 billion for capital expenses. 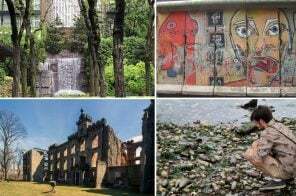 According to the Wall Street Journal, $578 million will be put toward the $8 billion redevelopment of LaGuardia and $167 million toward a $2.3 billion redevelopment plan of Newark’s Terminal A. 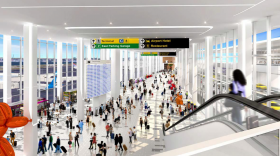 Governor Cuomo first unveiled his plans for a revamped LaGuardia Airport two years ago. Since then, the cost has ballooned from $4 to $8 billion, with $4 billion alone going towards Delta’s rebuilt 37-gate facilities. As of today, construction has officially begun on this part of the project, with the Port Authority signing a new, long-term lease with Delta Air Lines, which “marks the beginning of construction on the final component of the entirely new, unified airport at LaGuardia, which will provide all LaGuardia travelers with state-of-the-art amenities and expanded public transportation, including the planned AirTrain,” according to a press release from the Governor. 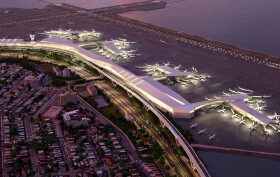 And along with the terminal’s physical groundbreaking, he shared new details and renderings. On Friday 6sqft reported Mayor Bill De Blasio’s announcement that the Rikers Island jail complex will be closed, following a report by the Independent Commission on New York City Criminal Justice and Incarceration Reform. “New York City has always been better than Rikers Island,” said the mayor when he announced the decision. The report also included ideas for the future of a post-jail Rikers. 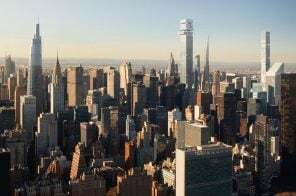 One such idea suggests that the island be used for the expansion of nearby LaGuardia Airport, raising the possibility of a new runway and additional terminal space, according to USA Today. 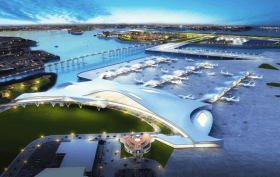 “The Island is uniquely positioned to accommodate an expanded LaGuardia Airport that would reduce delays and could serve as many as 12 million more passengers annually,” the report states.